The new 2012 spring semester has started (January 7, 2012 to May 6, 2012)! Register now, it’s never too late to start learning… check out the school schedule here: Spring_2012_Academic_Calendar. Thinking about what to do in the summer already? Well, it’s never too early to plan. 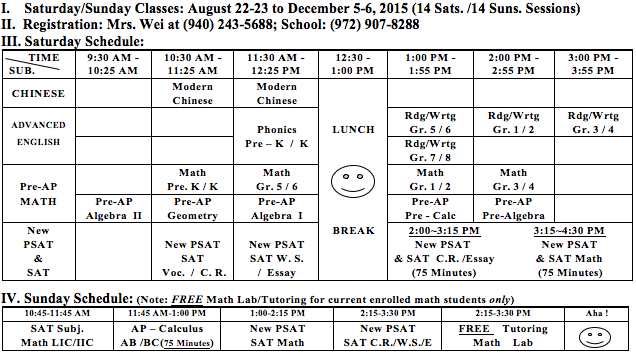 Think about signing up for summer courses at the Dallas Chinese School. Read about how previous alumni of DCS made the most of their summer and how they joined courses to get ahead! Also, read about how the school promotes and cultivates diversity in the Dallas community.